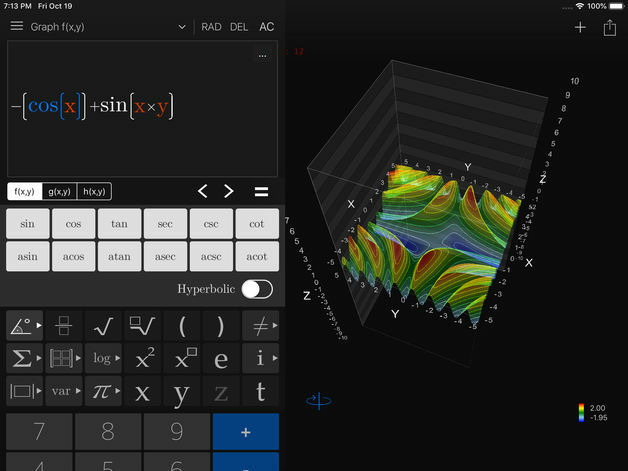 Visual Math 4D is a graphical calculator that allows you to visualize and solve your mathematical equations. 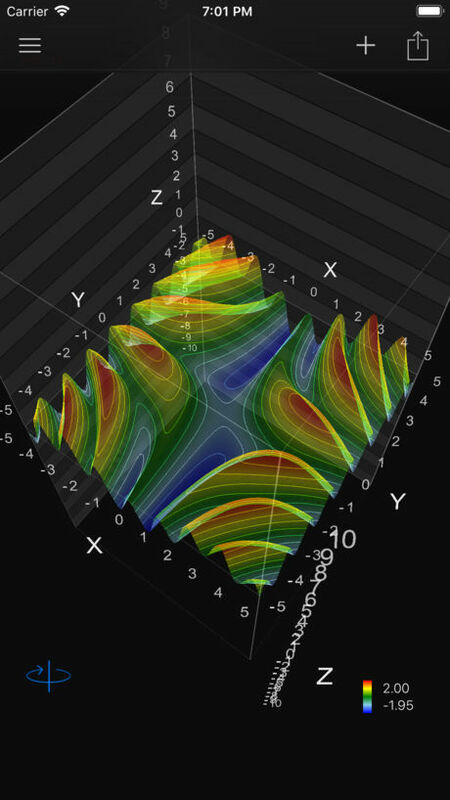 It supports various types of equations, such as polar, spherical, parametric and implicit equations, which can be visualized and animated in 2D and 3D. 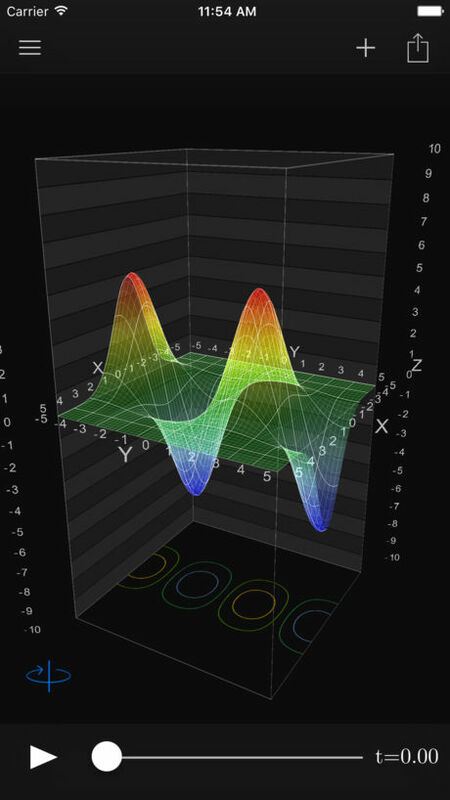 You can also plot and animate vector fields in 2D and 3D. select and focus functions using gestures. new functions are supported, like modulo, fact, nPr, nCr, lcm, gcd, rand etc..